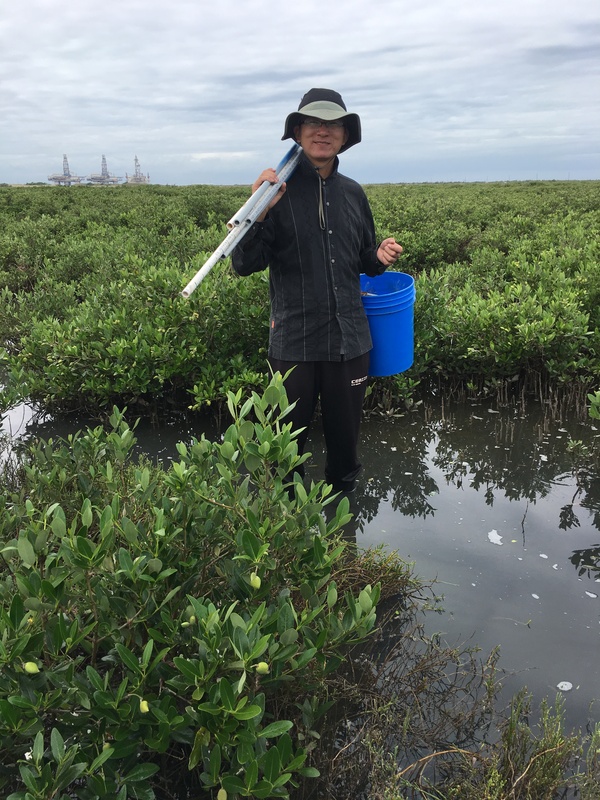 Steve, Anna Armitage and John Kominoski recently received a RAPID grant from NSF to compare marshes and mangroves with respect to how well they protect coasts from severe weather like hurricanes. The work builds on their ongoing mangrove density experiment in Port Aransas. They have plots ranging from 0 to 100 percent mangrove cover, and Hurricane Harvey basically passed directly over the plots. 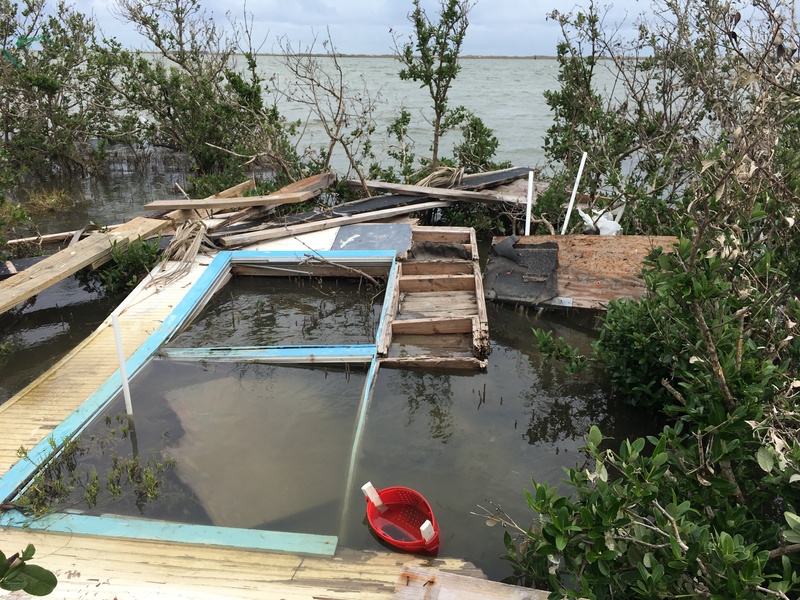 This provided a great opportunity to see how the storm effects varied with mangrove density. This weekend we’re out sampling vegetation, erosion, and decomposition in the plots. There is a lot of debris–telephone poles, dock sections, and parts of a house–in the plots. The city of Port Aransas looks hammered, with lots of houses and businesses destroyed. And a barge exploded off the coast overnight. Not our fault, honest! The photo below shows a house section in one of our plots. Wenwen Liu is in Houston as a visiting scholar in Steve’s lab for a year or so. This picture shows him in the mangroves near Port Aransas. Wenwen is working on a PhD under the direction of Yihui Zhang in Xiamen University in China. While in the US he’ll work on some papers, collect some new data, and work on his English. 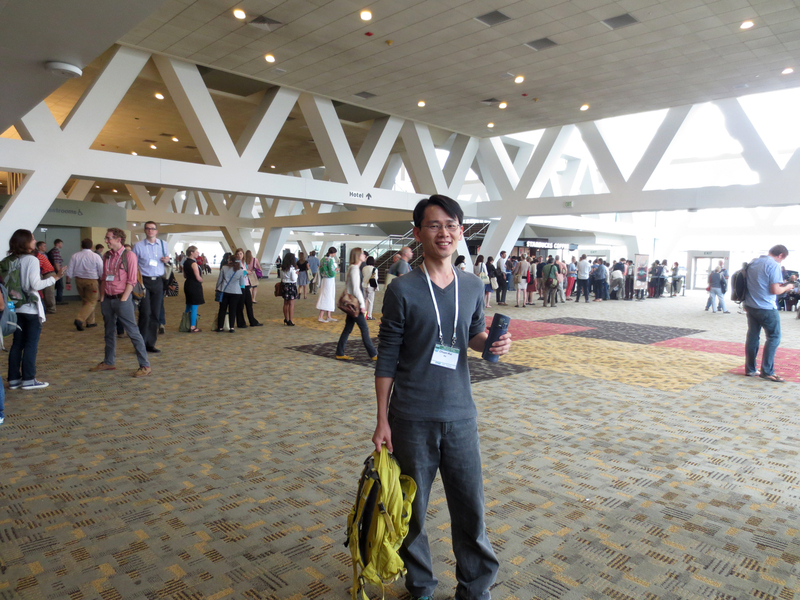 Congratulations to Chuan-Kai Ho (shown here at the 2015 ESA meeting) who has been promoted to Associate Professor at the National Taiwan University! We wish him continued success.